Amundsen has authored numerous books and papers. 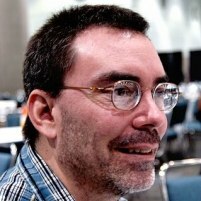 His 2013 collaboration with Leonard Richardson “”RESTful Web APIs”” and his 2011 book, “Building Hypermedia APIs with HTML5 and Node”, are common references for building adaptable Web applications. He co-authored “”Microservice Architecture”” (June 2016) and his latest book, “”RESTful Web Clients””, was published by O’Reilly in February 2017. In a series of simple review and refactoring, you’ll learn how to move specific knowledge of 1) addresses, 2) inputs, and 3) workflow out of the client app and place it into the messages passed between servers and clients. As a result, you’ll have a more robust, adaptable, and resilient client that will reduce the need to versioning and repeated redeployment. This session offers valuable lessons and advice for front end developers, API service providers, and software architects. The speed of feature release for web and mobile apps continues to increase, but it can grow costly and time consuming to constantly rebuild and redeploy client applications—especially through app stores, where updates can take more than a week to appear. What if you could add new features to an existing client without repeatedly installing new versions of the application? What would the code look like? What changes are needed to create a client that can adapt to changes in the service API? How much change is reasonably possible when both the client and API are able to evolve over time? Mike Amundsen offers 12 patterns and practices for building APIs that can safely evolve over time and client applications that can adapt to those changes without relying on explicit versioning systems or repeated redeployment. Whether you are responsible for building web front-ends or APIs to serve those apps, Mike helps you identify key principles to increase the adaptability and evolvability of your web implementations.